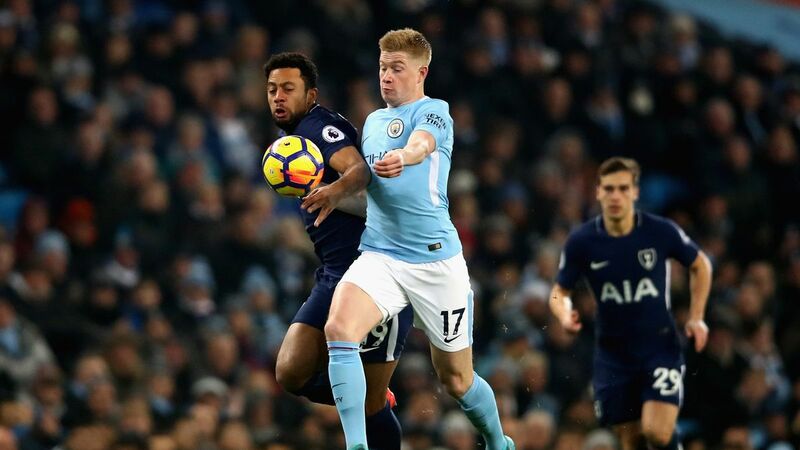 Manchester City has lept their winning streak unbroken in Premier League competition and yesterday night, Man City destroyed Tottenham at Etihad Stadium. In the ongoing season of EPL, they are passing great form and yet to face any defeat. They are also standing on the top position on the EPL point table this season. Besides, in English Premier League they have become unbeaten and no one did able to stop their winning streak. The apprentices of Pep Guardiola hunted down Tottenham Hotspur this time. In Saturday night at the home venue of City named Etihad Stadium Man City destroyed Spurs by 4 – 1 goals. Through the match, Man City has won consecutively sixteen league matches. They started to play yesterday night with great confidence because they have already made highest match winning record. In the 14th minutes of the game, Sane made a corner and Geman Gundogan got the ball in a blank spot and through the head. he made his mark. However, in first half Man City made several attempt but finally the first half ended with 1 – 0. Since the beginning of the 2nd half, Man City started to make attack and attack. In 70th minutes of the game, Kevin De Bruyne made a goal and increased the difference double. Gundogan passed the ball to the Kevin and he went to the box and overtook a defender and gave him no room. So, the Belgian midfielder made the certain shot and stopper was failed to stop that. In 75th minutes kevin De Bruyne was fouled and then again Man City got a penalty. But the chance was missed by Brazilian Gabriel Jesus. He did not score goal through the penalty. His spot kick missed the mark and hit to the post. In return ball Raheem Sterling made a shot which went outside of the crossbar. However, just five minutes later, Raheem Sterling increased the difference once again and almost secured their victory. In the last minutes of the selected time, English defender Raheem Sterling once again scored another goal which was his second goal and through that Manchester City ensured their big victory over the Spurs. On the other hand, in additional minutes of the game, the guest team managed a goal which was scored by Eriksen. Now, by playing 18 matches in the season of EPL, Man City got seventeen victories and a draw. So, their point is 52. With the point they are in top position on the point table. Consists of 14 points behind, Manchester United is in 2nd position so far.